I knew it the moment I tasted it. The wine in my glass was one of the most exciting new projects in Napa Valley. What was it? Kata’s 2011 Beckstoffer Bourn Vineyard, a gorgeous, distinctive Cabernet Sauvignon/Petite Sirah blend from a heritage site in St. Helena steeped in history. As President of Beckstoffer Vineyards, David Beckstoffer oversees a collection of iconic Napa Valley sites that includes Missouri Hopper, Georges III, Las Piedras, Dr. Crane, To Kalon and, more recently, Bourn. Interestingly, Kata is David Beckstoffer's first wine project. Kata is a Japanese word that refers to a series of repetitive, choreographed movements used to demonstrate mastery in the martial arts, a search for excellence that is reflected in Beckstoffer's calm, measured demeanor and total attention to detail. It takes a lot of conviction to release a new, high-end wine in Napa Valley, where the competition is so intense. To do it with the 2011 vintage is gutsy, to say the least. Winemaker Benoit Touquette, who is originally from Bordeaux, honed his chops under several mentors, including Michel Rolland and Andy Erickson, and currently makes the wines at Realm, Magrez, Hartwell and a handful of other properties. Touquette has always impressed me with his work ethic and passion for the great vineyards of Napa Valley, so it is hardly a surprise the first vintages from Bourn are so full of promise. In 2010, Beckstoffer Vineyards, led by family patriarch Andy Beckstoffer, purchased a piece of Hayne Vineyard in St. Helena, a site that has informed several notable wines over the years, none more profound than Larry Turley’s Petite Sirahs. The Beckstoffers rechristened their parcel Bourn Vineyard, after the original owner William Bowers Bourn II, who made his fortune in mining during California’s Gold Rush. The entire Beckstoffer parcel can be seen in the map to the left. Note: the small green rectangle in the northeast part of the site that abuts South Crane Avenue is a new home that is currently being built by another owner. In 2013 the Beckstoffers ripped out virtually all of the Petite Sirah in the vineyard and replanted with Cabernet Sauvignon, a reflection of modern-day economics in Napa Valley. The new Cabernet plantings are represented by parcel A2 on the vineyard map. I have to say, the thought of 60+ year-old, head-trained, dry-farmed Petite Sirah planted in an iconic, heritage site being ripped out is depressing. Frankly, it is surprising historic vineyards don’t enjoy any sort of protection given the great lengths Napa Valley goes to in promoting its cultural heritage, but as the saying goes, it is what it is. Hopefully the Cabernet Sauvignon here will turn out to be epic and on a scale with the fruit the Beckstoffers produce at their two nearby vineyards Las Piedras and Dr. Crane. 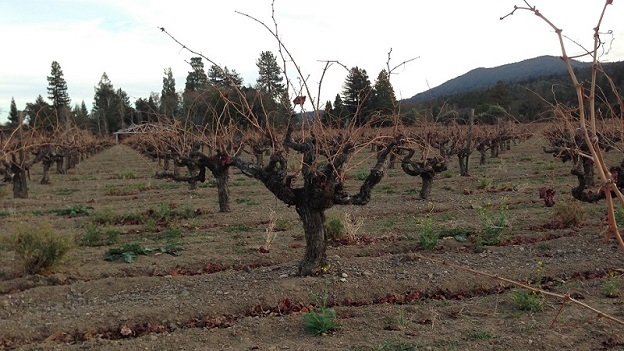 If it is, the reality is not too many people will care the old-vine Petite was ripped out. What is much more certain is that the Cabernet will fetch at least three times the price. David Beckstoffer was able to convince his father to leave 10 rows of Petite untouched, which are visible in Block A1. 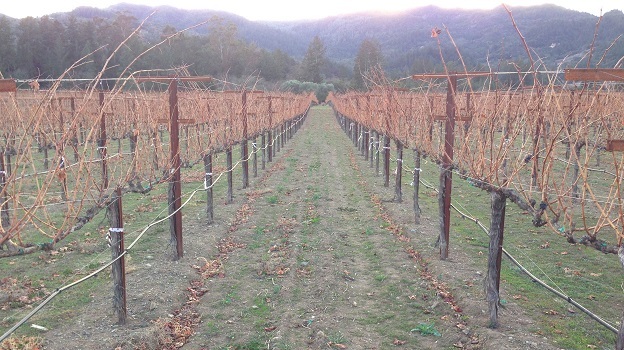 The four parcels of Cabernet Sauvignon that make up the B Block were planted between 1998 and 2003 by the previous owner. 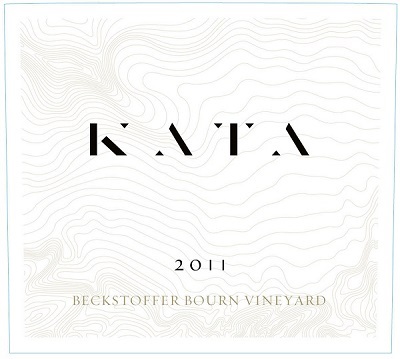 Kata’s 2011 Beckstoffer Bourn Vineyard has been superb both times I have tasted it. A blend of about 83% Cabernet Sauvignon and 17% Petite Sirah, the 2011 Kata unfolds with layers of dark red stone fruits, spices, wild flowers, menthol, licorice and iron. Wonderfully layered and textured, the 2011 impresses for its dimensions of complexity and nuance, not to mention its considerable personality. The 2011 has shut down a bit since I first tasted it in barrel, where it was positively head-spinning. I would give the 2011 another year or two in bottle to fully come together. The 2011 harvest started with the Petite on September 26 and ran through October 14 for the Cabernet Sauvignon. Winemaker Benoit Touquette used all of the parcels of the vineyard except for the Phelps clone Cabernet, which originates from Backus. In its inaugural vintage, the 2011 was fermented entirely in new oak. In subsequent vintages, the new oak may come down, especially for the Petite, in order to allow for more of the vibrancy of the fruit to come through. 93/Drinking window: 2015-2023. Kata is one of the most distinctive new releases I have tasted in Napa Valley over the last few years. Personally, I can’t wait to see what the next few years bring, but from what I have tasted, the future looks very bright for Kata and David Beckstoffer.